Feel free to leave comments and suggestions for further articles in the "post comments" below! How Does Uninvolved Parenting Affect Children? How do children respond to uninvolved parenting? Imagine children running amok with no adult supervision—that pretty much sums up this style of parenting. While some say it allows children leisurely freedom, this approach lacks essential guidance from parents who take minimal interest in the child’s activities and behaviors. In a nutshell-it’s considered neglect by child experts. It is also believed to be a highly destructive way of raising children as it leaves children to their own devices. · Uninvolved parents are neither demanding nor responsive. Professor of psychology, Nancy Darling, has noted that in extreme cases the children are rejected by the parents and often feel neglected. · These parents have no set parameters or rules for their children. Emotional support is minimal or non-existent. General involvement in their children's lives is not a consideration. · Children’s self-governance is a result of this method of parenting. Parents often negate discipline and surrender to the whims of their children or ognore them outright. 2. A trip to the library. Eugene library has a great selection of bi-lingual books for preschool age children. If you’re off work on Wednesdays, Story Time is 11 a.m. August 2nd at 1 and 3 pm, Stories in Motion is lined up for dance and storytelling! Whether we agree with it or not there are some prevailing and controversial methods of parenting that are getting significant attention. In some cases these approaches are categorized as newfangled parenting styles, when in reality they’ve been held as child rearing doctrine for some time. 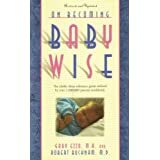 One of these styles is labeled as ‘babywise’ stemming from the title of the provocative book, "On Becoming Babywise,” written by Gary and Anne Marie Ezzo. It’s worth mentioning: in our own choices of parenting styles that our children over time will attend school with children of myriad backgrounds: ethnically, religiously and otherwise. We may have differences of opinion on whether these methods are effective (or in some cases cruel) but at the end of the day our children will find themselves in social environments where varying parenting styles are at play. · Parent Directed Feeding (PDF), catches heat for being a parent-centric in scheduling convenient meal times for children. But some reviews claim it works for parents because it works for kids to have this structure. And generally “feeding on demand” is initiated by parent’s attentiveness from birth on. · Rather than being and the beck and call (read “on demand”) of children at every request this method sets limits by scheduling. · There are claims by some that with this approach the parental relationships are prioritized as most prominent in the family unit. · Discourages children from ‘coming between the parents’ or interfering in adult affairs. An article titled, “Are You Mom enough?” in the May issue of Time Magazine, with a hugely provocative cover, has sparked lots of debate about the latest in controversial parenting styles. While some of these methods of raising children have been practiced for ages, they now have official categories as parents make more conscious choices in child-rearing. Maybe some are reactive approaches attempting to reverse the ways in which we were raised: we hope to turn it around with our children. Anderson Cooper interviews children psychologists and experts on early childhood development to discuss some of the latest categories of contentious ways of parenting. So what are these questionable parenting styles? Whether they are more effective, enabling, or neglectful is the overarching question posed by these recent articles. 1. Attachment Parenting. This seems to be the style getting tons of attention due in part to the aforementioned article. The Time cover features a mother breastfeeding her four-year-old son as a representation of attachment parenting. The attachment method is thought to build stronger bonds between parents and children that also include a shared “family bed.” Beyond the Sling, a book by Mayim Bialik emphasizes this approach to parenting. 2. Permissive Parenting. Few boundaries or expectations are established with this parenting method in order for children to have more freedom of choice. The hope is that children can have more options to explore and will take responsibility in making choices. It also known as “democratic” way to raise children. However, experts and some parents believe that this can lead children to become spoiled and demanding with little acknowledgment of others or respect for limits. 3. 'Cry It Out' Method. There is disagreement among the experts as to whether this self-soothing approach is truly healthy for kids. However many parents say it is an effective way to instill independence in children and impart a method of resolving their discomfort over time by not responding to every cry. This local Huliq article speaks to how Eugene parents feel about the Time article and attachment parenting. You may be, as I was, surprised at what these mothers expressed about this parenting approach.